Some kinds of grasses thrive during the dog days of summer, while others tend to suffer. Our Mid-Summer Lawn Checklist is much like our June Lawn Checklist with a few shifts that are related to how your lawn handles these dog days. Northern lawns prefer cooler temperatures and tend to suffer if the nighttime temps and humidity don’t drop much from the 90’s during the day. However, cool night temps that drop back into the 60’s can do wonders to help these kinds of lawns stay healthy in summer. If you have already fed your lawn twice this year you can skip feeding until later in summer. However, if your lawn has not been fed in a while and you live in an area where night time temps drop, you can give your lawn a feeding. The Turfdogs team can come out and handle all your feeding needs. Tiny insects can attack your lawn during summer. One indication that they may show up is when you see moths fly from your lawn when you mow or walk on your grass during early evening hours. These moths do not damage your lawn, however they lay eggs for insects like sod webworms and cutworms that can cause your lawn to thin and turn brown. Other insects, like chinch bugs can show up about the same time. We have a special treatment that is meant to deal with these insect problems. Weeds are harder to kill if they are not actively growing. Most weed controls are designed to work if your temperatures are between 60 and 90 degrees, so check the label for suggestions to get best results. 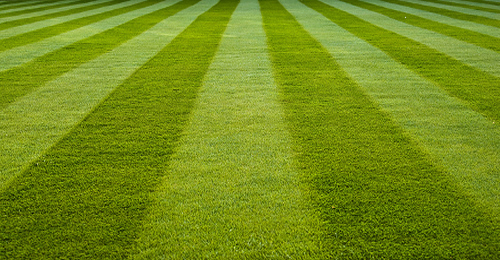 Be careful, as some products can damage your entire lawn if not used properly. If you’d like to skip the risk, call Turfdogs to schedule our team to visit. Circular patches of browning grass or individual grass blades with spots on them are an indication of lawn fungus problems. Some of these problems will go away with shifting weather, however if they persist or if you have certain areas of your lawn that are prone to fungus problems each summer, you can treat with our Fungicide. Taller grass blades mean deeper roots to match the leaf growth. So adjust your mower to leave your grass height after you mow at around 2-1/2 inches.